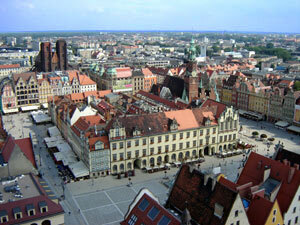 Wroclaw is the fourth biggest city in Poland with population of 633 thousands registered citizens. 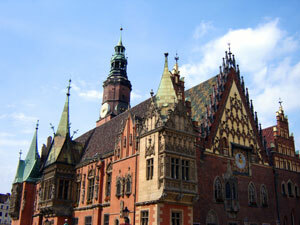 The city is located on Western part of Poland and it's a main city of Lower Silesia province. Wroclaw is situated on the Odra river which is second longest (after Wisla) river in Poland, that also marks border between Poland and Germany on the Norther part of country. Presence of Odra river in Wroclaw created unique and amazing networks of channels what makes Wroclaw also known as Venice of North. 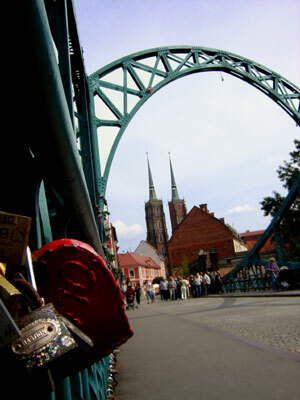 There are more then 100 bridges in this city over Odra river as well as another smaller rivers that connects with each other in Wroclaw. All together with beautiful Main Square, numerous churches, theatres and museums make from Wroclaw great place to visit during your stay in Poland. International Wroclaw Airport Copernicus (WRO) is located about 12 kilometers from very city centre and offers direct flights to London, Dublin, Oslo and many other European cities. We provides door to door service so your English speaking chauffeur could pick you up wherever you wish both in Wroclaw as well as in Krakow. If you wish pick up at crowded public spot like railway station or Wroclaw Airport WRO please enclose in your booking or contact request name or password you'd like to see on the sign board. Distance from Wroclaw to Krakow is 270 kilometers (169 miles) using smooth 2 lines motorway A4 what makes that journey lasts no more then 3 hours. We use spacious 9 seater (8 passegners and driver) minivans with large boots that can accommodate with ease all luggages plus wheel chairs or another items if needed. For Client request we provide child seat with no extra costs. Payment should be done on the day in cash (Polish Zlotys - PLN). 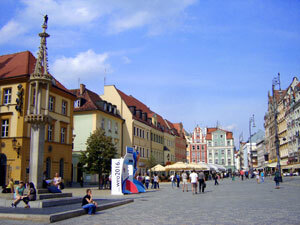 - our company is based in Krakow so we don't offer taxi transfers services within area of Wroclaw.